Maj Sjöwall & Per Wahlöö. Jo Nesbø, intro. Alan Blair, trans. In the once-peaceful parks of Stockholm, a vicious predator has taken to stalking and killing young girls, and the city is gripped with fear. In this third mystery in the Edgar Award-winning series, Inspector Martin Beck has two witnesses: a cold-blooded mugger who won't say much and a three-year-old boy who can't. With the investigation stalled and the likelihood of another attack growing day by day, Beck suddenly recalls someone—or something—he overheard about another crime report. 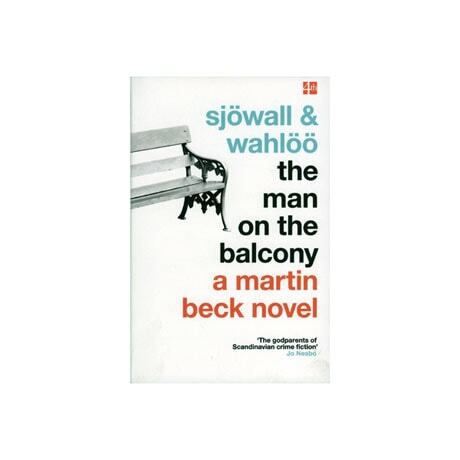 Maj Sjöwall and Per Wahlöö are "the godparents of Scandinavian crime fiction," according to Jo Nesbø, while Henning Mankell acknowledged their Martin Beck novels as "one of the series that most inspired me.... Whoever is writing crime fiction after these novels is inspired by them in one way or another." Written from the mid-1960s to the mid-70s, the Martin Beck mysteries have been adapted into numerous film, television, and radio dramas.